« कस्तो स्थानीय सरकार प्रमुख चुनिएछ नि, एसएसपीले थर्काउने! किन इन्टरनेट हड्ताल त ? Everybody know that road expansion will NOT solve the chaos in Kathmandu. The planners, those in the power, know that outer ring road, smart city, road expansion, view tower at old buspark etc will worsen the situation even more, because more people will come to Kathmandu. There are numereous examples like Bangkok, only wide road will not solve the traffic issue. The so called development projects(outer ring road, smart city, road expansion, view tower at old buspark etc) will only destroy local heritage, ancient cities, local peoples livelyhood, the few remaining greenery in the Kathmandu Valley. Population will grow, we will need more road and we will be trapped into a vicious circle and the ultimate result will be social unrest. Kathmandu will not be livable for coming generations. The real solution is decentralization. Save the heritage, save the greenery, save the farm land in Kathmandu. Say no to outer ring road, smart city, road expansion, view tower at old buspark etc. Individual harming of the land may occure but the state sponsored destruction of Kathmandu will make this place unbearable. It is not about only newars, it is about all the people, who have already settled in the valley. 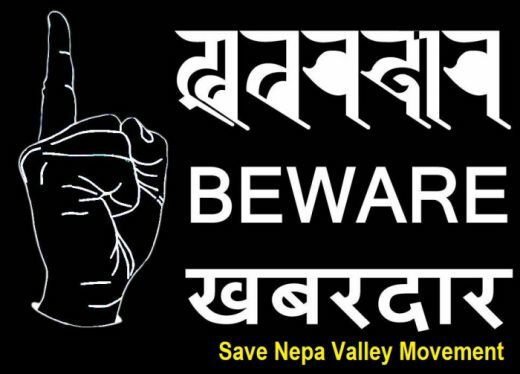 Save Nepa Valley for our children.